When I said I wanted to move further into the psychology of addiction, I didn’t mean I was about to forget the brain. The subtleties of your thoughts and the cellular activities of your brain might seem like different planets, impossible to gaze at simultaneously. Yet both are going on at exactly the same time in exactly the same place. Addiction is usually characterized by two psychological states: craving and loss of control. But when we look very closely at the flow of time leading to each occasion of using (or drinking, or whatever it is), there seems to be a blurring of the two. Giving in (loss of control) starts to look like a well-worn path, initiated by craving. Can we reconceptualize the relationship between craving and giving in? So that it makes sense? — at least more sense than the notion of falling through a trap door that was bolted shut? What if craving and surrendering are not two processes but one? Just a single time-line, a building momentum, leading from a state of determined abstinence to a headlong plunge? Imagine that you can be two different people. That’s not such an absurd idea. It’s been around in psychoanalysis for a century, and even the cognitive science of the last three decades finds it reasonable. Not multiple personalities, but something subtler. The you that screams for vengeance when your favourite player gets tripped from behind and the you that turns off the TV and tucks your kid into bed can easily be seen as two distinct yous. So let’s imagine that the you who anticipates how wonderful it will feel to get high is simply a different you than the one that knows that’s insanely stupid. push-ups in the parking lot, and even the more contemporary cognitive-motivational tactics of SMART Recovery might counsel you to ignore the addict voice — as though it weren’t your own voice at all. So let’s think about the two yous differently, by aligning the psychology of wanting versus abstaining with two distinct brain states. That’s not difficult. 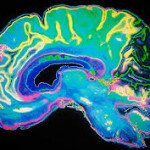 When we anticipate getting high with excitement and attraction, the striatum, which is the part of the brain that initiates goal pursuit and powers it with desire, is strongly connected to the orbitofrontal cortex (OFC), a region of the prefrontal cortex on the border of the “limbic system” that encodes the value of things — good things like a friend’s smile and bad things like sour milk. The striatum and OFC are quickly linked (an “orbitostriatal” bond is formed) in anticipation of a valued outcome, and that’s when you become the child, yearning, anticipating, and falling forward into the treasure trove at your feet. But what happened to self-control? A much smarter part of the brain — called the dorsolateral prefrontal cortex — often oversees the impulses generated by your striatum. 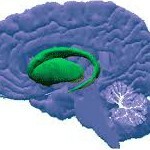 The dorsolateral PFC is where judgments are formed by comparing possible outcomes and making conscious decisions. We can call the dorsolateral PFC the “bridge of the ship.” Its job is to steer. 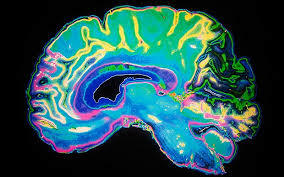 But addiction and other impulsive acts are accompanied by a “loss in functional connectivity” between the orbitostriatal alliance and the bridge of the neural ship. A loss of connectivity simply means that activity (measured by an fMRI brain scan) in one region becomes less correlated with activity in the other region. This disconnect is exactly what is observed in addiction. When pictures of drug paraphernalia are flashed on a screen, addicts show a surge of activity in the orbitostriatal region and reduced activity in the dorsolateral PFC. Some studies show this disconnect to become more severe with the length of the addiction. Other studies show the same disconnect when “normal” people surrender to tempting (but dumb) impulses. The disconnect is real. And when it happens, you become the unfettered, unconstrained child. Craving is simply desiring what feels attractive, and surrender is the natural order of things when desire is unconstrained. regrets pile up like unanswered mail. Three hours later (if it takes that long) the child’s excitement is replaced by self-reproach, recrimination, and perhaps a determined commitment to never do it again. You are no longer thinking or feeling the way you were a short time ago; your values have locked in again. And your brain is no longer functioning the way it was functioning a short time ago. 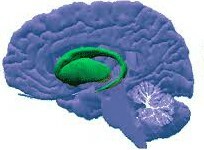 The orbitofrontal cortex (occupied now with something like sour milk) is reconnected with the dorsolateral PFC, its overseer. Because desire is now just a memory, an empty husk. With desire slaked, no matter how unsatisfactorily, your brain changes back again. It’s just the way it works. Let’s say you’d been abstinent for weeks, maybe months. How could you have done something so stupid? Again?! The answer is simple: it was a different you. Marc Lewis is a neuroscientist and recently retired full professor of developmental psychology, at the University of Toronto from 1989 to 2010, and at Radboud University in the Netherlands from 2010 to 2016. He is the author or co-author of over 50 journal publications in psychology, cognitive science, and neuroscience, editor of an academic book on developmental psychology, and co-author of a book for parents. More recently he has written two books on the science and experience of addiction.